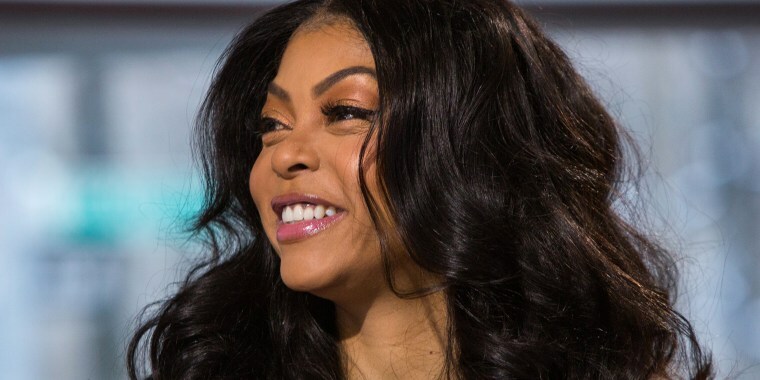 You won’t be surprised to learn that Taraji P. Henson is one passionate woman. She’s fiery on screen, as fierce matriarch Cookie on "Empire" and a brilliant mathematician in "Hidden Figures." And in real life, she’s equally ardent about the causes that matter to her. It’s why she just launched the Boris Lawrence Henson Foundation (BLHF) in honor of her late father, to help eradicate the stigma around mental health issues in the African-American community. It’s not a topic that’s discussed often enough, said Henson. Henson had experienced her own share of trauma. She became pregnant during her junior year of college, and in 1994 gave birth to her son, Marcell Johnson, whose dad was killed at age 34. “My son, growing up, and his father being murdered and his grandfather dying two years after that. Who does he talk to? When it came to find someone to find someone he could talk to, it’s like looking for a unicorn,” said Henson, who is newly engaged. Today, her son is thriving. But, says Henson, it took work to get him to open up about his father. “He’s an artist now and he’s very open. From his pain, he had to be. I asked him if he minded if I talked openly about it, but if you don’t, who are you helping? Therapy is not easy. You have to look at yourself in the mirror. You have to deal with all those thoughts, with the pain. We have a very clever way of sweeping it away and coping in another ways. You can do it in a healthy way. And all it takes is talking to someone,” she said. For Henson, starting her foundation was a no-brainer, given her personal history.